Looking "where to sell my Alfa Romeo Giulietta?" Ask the Chicago Car Club! Are you wondering "where to sell my Alfa Romeo Giulietta ?" The Chicago Car Club is interested in classic cars of all makes and models, especially a Alfa Romeo Giulietta. We make the process of selling your Alfa Romeo Giulietta quick and painless. In just a matter of hours we will have your classic valued and, if you do so choose, turned into money in your pocket. All it takes is a phone call or electronic inquiry to get the ball rolling. 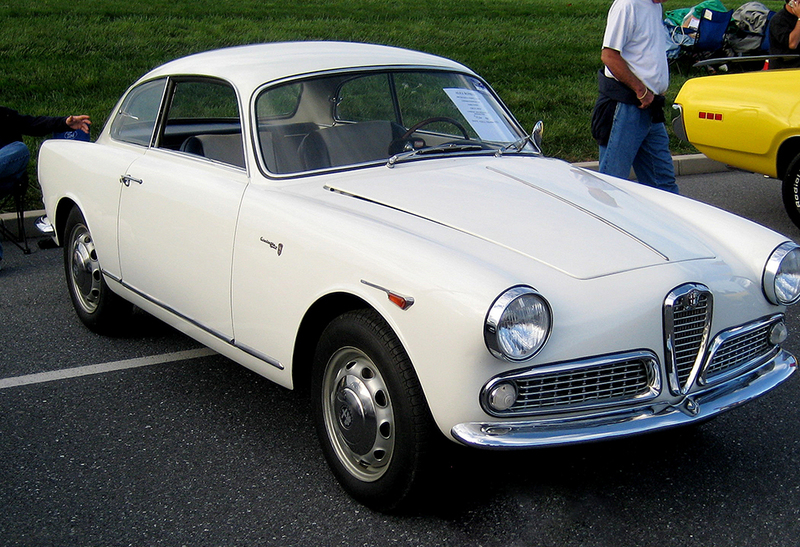 The Giulietta was a group of automobiles made by Italian automobile maker Alfa Romeo. Between 1954-1965, they came in configurations including a 2+2 coupé, 4-door saloon, Estate, Spider, Sprint, and Sprint Speciale. The series was quite popular and total of 177,690 were sold. It was originally fitted with a twin-overhead cam 1290 cc engine producing approximately 90 hp, while a larger 1570 cc unit was also available starting 1962. It came with Rear Wheel Drive Manual, a 4 Speed manual transmission and drum brakes. The original base model had a top speed of 102 mph or 164 km/h. The first Giulietta to be built was the Giulietta Sprint 2+2 coupé. It had two front seats and a small jump seat in the back. It was introduced at the 1954 Turin Motor Show. It was designed by the famous car designer, Franco Scaglione at Bertone.It was built at their Grugliasco plant near Turin, Italy. The next year, at the same car show, they introduced the Berlina, 4 door coupe. The fastests of the Giulietta models was the Sprint Zagato, which was produced between 1957–62, that had 2 sidedraught twin-choke carbs, with 100 PS (74 kW; 99 bhp) at 6,500 rpm, and could do an impressive 193 km/h (120 mph.) Many did quite well on the racing circuits. These models, though often common, are still loved and sought after by collectors. Some choice models fetch fine prices as auction.